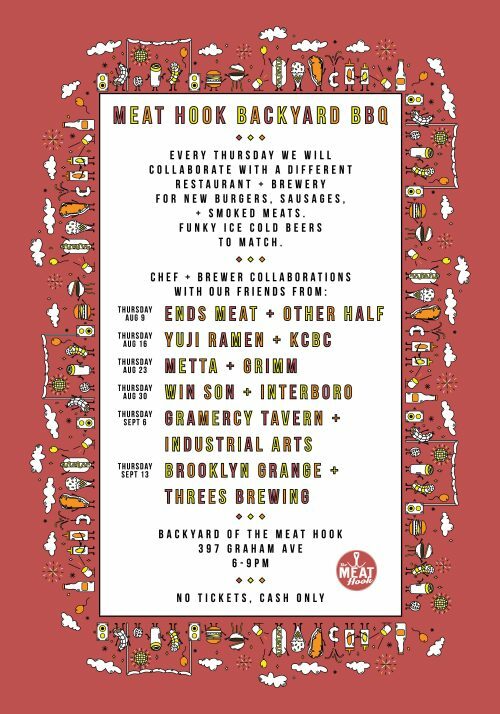 The Meat Hook’s Thursday Summer BBQ Series is Back! 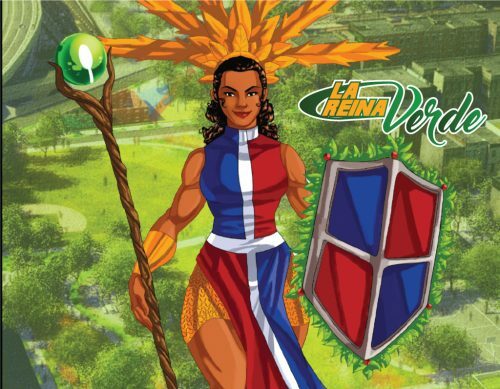 Join La Reina Verde (The Green Queen), the superhero fighting for new parkland on the Southside of Williamsburg, and Friends of BQGreen, for a Free Block Party this Saturday, 6/16 from 12-5! Saturday’s celebration will take place on the future site of BQGreen and include Latin food, burgers, refreshments, DJ Gasolina, 2 bouncy castles, face painting and games and a few surprises! Where: The Bridge at South 5th Street between Marcy Avenue and Rodney St.
Baste it, taste it and tweak it again. Showdown is a cookbook about feeding the conversation along with the person. 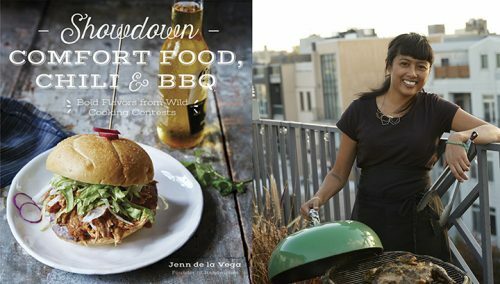 This week, we sat down with Greenpointer and self-described “meat-head” Jenn de la Vega to talk about how competing (and winning) local competitions sparked Showdown, the cookbook. GP: Hey Jenn! Tell us about Showdown. De la Vega: Showdown is a compilation of 100 recipes I’ve entered into competitions. It’s not only about the ones that won. 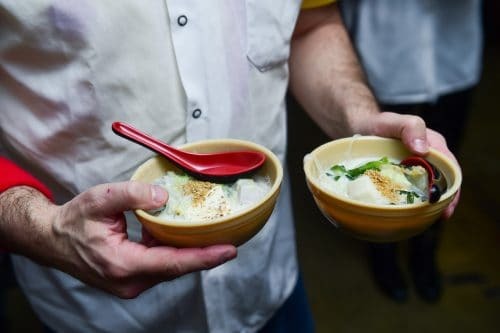 I think the big part of the story is the failure and journey along the way, building a strange cooking career out of competition, creativity and personal challenges. GP: Did you always want to be a chef? Jenn breaks out into a big grin. “It costs a lot of money to look this cheap.”—Pics From The Dolly Parton Lookalike Contest At Mable’s Smokehouse! 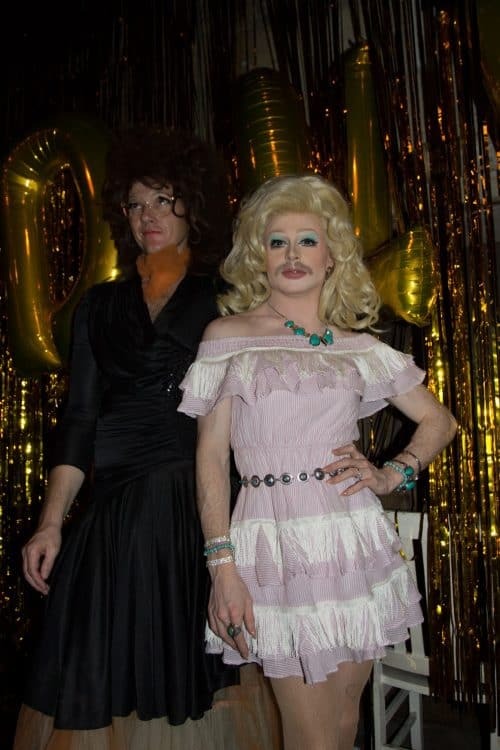 Last week local BBQ joint Mable’s Smokehouse (44 Berry St.) hosted a Dolly Parton Lookalike Contest, and it was epic. One of our photographers, Kate Truisi, was on hand to snap some pics of the bustling scene. Sad news: Boulevard Tavern will be pulling its final pint this weekend, after 10 years of serving the neighborhood. Owner Harold Kramer and his wife Ria started running the bar in 2005. 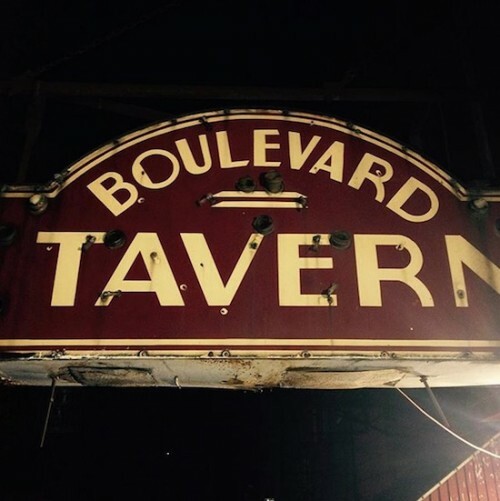 They reclaimed the name ‘Boulevard Tavern’ after discovering the signage underneath that of J&D’s, the bar that closed on the same site in the early 2000s. Neighborhood favorite The Diamond is turning eight this week and you’re invited to their party! 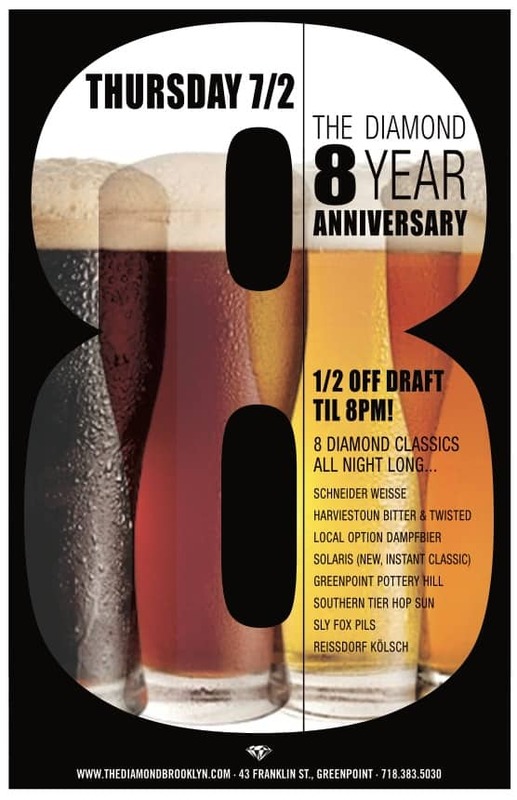 On Thursday they will be celebrating their Eighth Anniversary in style with the return of eight of their favorite draft beers from throughout Diamond’s lifetime. Between 5-8pm these will all be half-price, so the likes of Harviestoun Bitter & Twisted, Local Option Dampfbier, and Schneider Weisse can all be quaffed for a mere $4 a pint. Happy Birthday indeed. But the party doesn’t stop here. 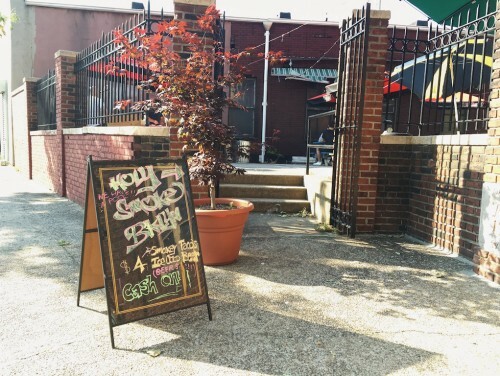 Saturday July 4th they will be hosting their famous Independence Day Grill Out….where $5 gets you a giant bratwurst with potato salad and watermelon, accompanied by a rad patio soundtrack from vinyl junkies Jackson Mico and Proudfoot. While you’re there be sure to have a quick round of shuffleboard and if you’re rilly good then think about signing up to the monthly tournaments…winners get their name on the esteemed plaque of fame! Diamond Bar is at 43 Franklin Street. Brooklyn Barge Bar Set to Open Soon! 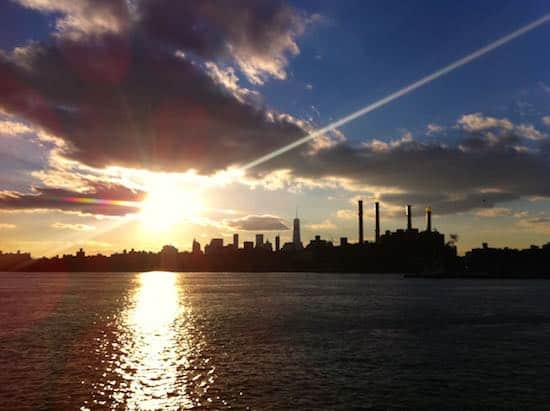 The long anticipated Brooklyn Barge Bar is looming ever closer on our horizons. Although not yet open for business, the barge itself will take up its new position near Transmitter Park later this week. 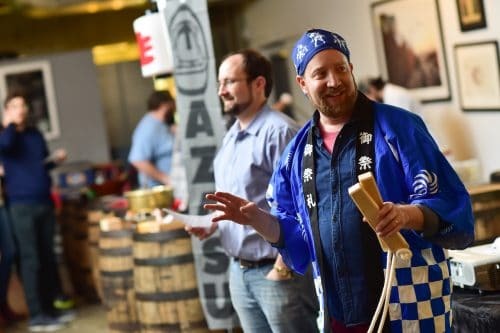 Despite initial opposition from neighbors and the local community board, a liquor license was finally granted on June 2nd, much to the delight of bar manager and co-owner Will Drawbridge. 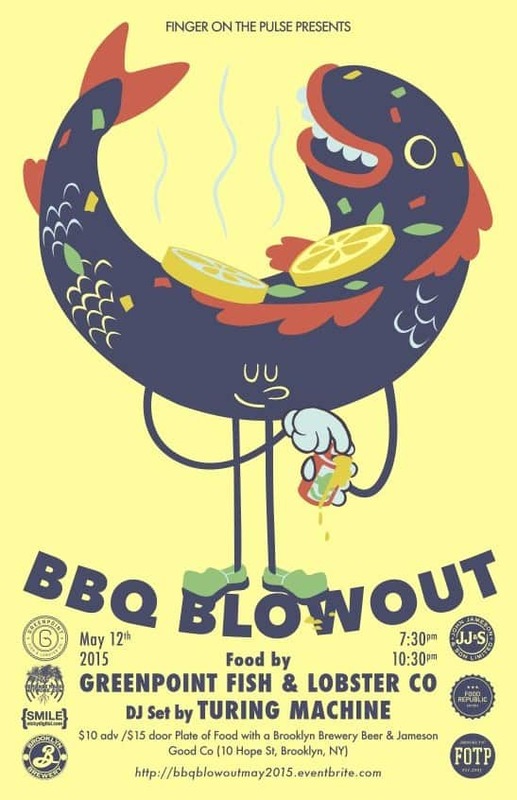 Greenpoint’s favorite fishmonger is teaming up with Finger on the Pulse who’re hosting their first BBQ Blowout of the season this Tuesday May 12th on the sun-dappled patio at Williamsburg’s Good Company (10 Hope street). A mere $10 will get you some magnificent grilled fish tacos with a side of fresh-made tortilla chips and salsa, as well as a Brooklyn Brewery beer and a shot of Jameson Whiskey. Barginzz! 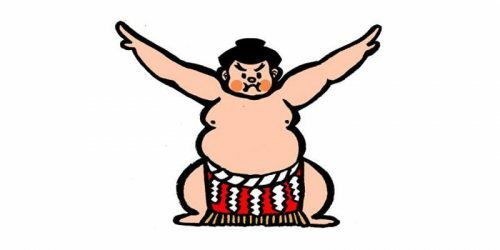 The event runs from 7.30pm-10.30pm. Advance tickets are $10 and are available here, or can be purchased on the door for $15. Let the summer of the great Brooklyn BBQ commence!